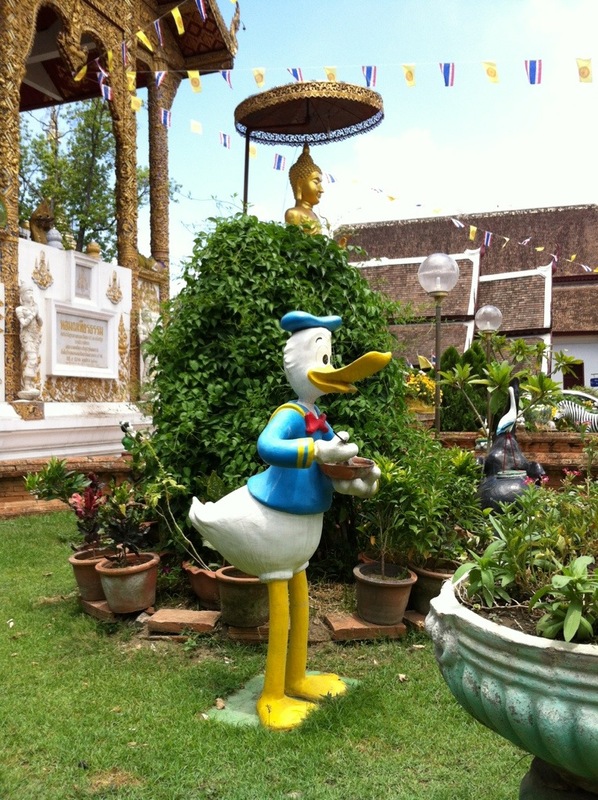 As seen in Chaing Mai. And, no, I have no idea. 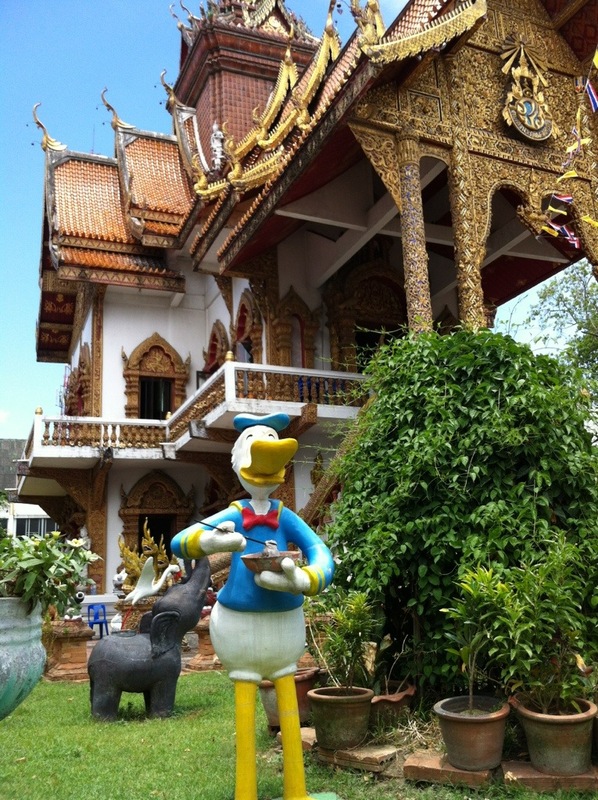 This entry was posted in Culture, Sightseeing, Temple and tagged Donald Duck, Temple, Thailand, Wat. Bookmark the permalink.